Hi, i would like to move to Tuscany in the future and i would like to know what people think of the city Prato? I like it because it's a short ride to Florence but i only can find a few pictures of this city, but the ones i have found make the city look really nice but as we all know pictures can be deceiving. Hi jordan 144 - and welcome! 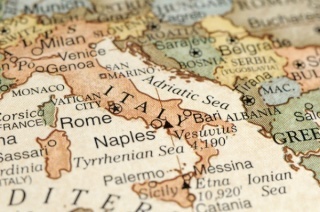 Are you thinking of moving to Italy to work or to retire (or something else)? Hi Jordan. Prato is like many other Italian Cities with lots of new industrialised areas and old town, it is also the centre for the Chinese manufacturing industry of clothes, bags etc. I would not say Prato is picturesque but it has a lot of character. If you have time you could explore the city using Google Street View which covers every street in the City. Like any big move I would say rent an apartment or villetta in the town and see how you like it and the people. Where do your family originate from? Sorry for the late replies been away and had bad connection, i play to go there for Holidays was in the thinking of co-buying a place with a few friends and using it as a holiday place with us each spending a few months a year there, but this won't be for another few years. Some of my Italian side of the family was born in Prato which is why i would like to move there it's also a short trip to Florence. you're not of chinese origin are you? it's not just a rhetoric question but Prato over the last twenty years has become the largest chinese comunity in the country...and i don't mean a china town area..but the whole place..very different tothe place your forefathers left..make a visit before deciding anyway. sebastiano wrote: you're not of chinese origin are you? it's not just a rhetoric question but Prato over the last twenty years has become the largest chinese comunity in the country...and i don't mean a china town area..but the whole place..very different tothe place your forefathers left..make a visit before deciding anyway.